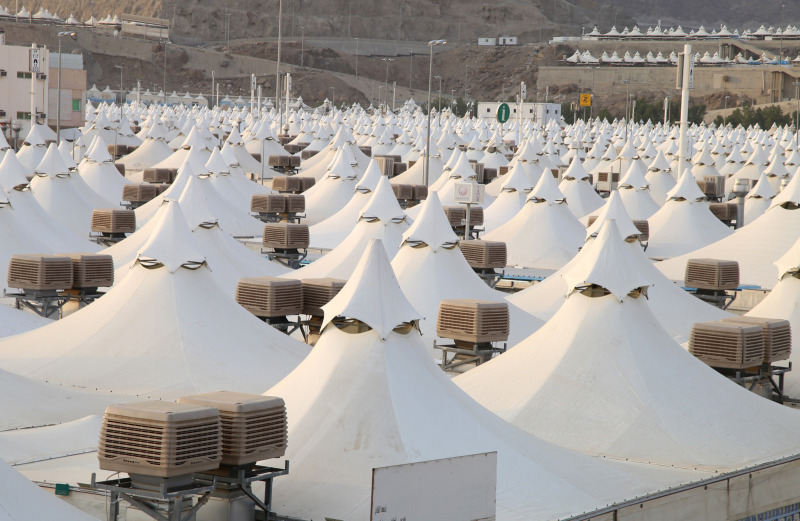 A view of the tent city in Mina Valley, Saudi Arabia, with Seeley International's Breezair air conditioners installed. Seeley International group managing director, Jon Seeley, said the enormous bulk order of Breezair evaporative air conditioners by the Saudi Government and Ministry of Hajj provides state-of-the-art cooling for Makkah Pilgrims during their stay in the Mina Valley tent city. The tent city is a fascinating logistics exercise involving more than 100,000 tents and houses and approximately three million people in over 20 square kilometres. Mr Seeley said: “Our Breezair evaporative air conditioner was found to out-perform more than 200 other air conditioning brands and delivered spectacular results against a comprehensive set of criteria that included energy-efficiency, reliability, performance and low environmental impact. “The three year tender evaluation process saw Breezair and other contenders tested on site over several months, in all conditions and seasons, including comparative tests done during a pilgrimage to assess performance under real-world conditions. The in-built safety mechanisms, economical use of water, ease of control and compact design were critical in Breezair being successfully selected. Seeley International sales director for EMEA, Xavier Delaigue, said being awarded the supply contract reflected the strength, innovation and durability of Breezair evaporative air conditioning, and provided an opportunity for Seeley International to showcase its ability to deliver on the large-scale order within a very short timeframe. He explained: “As part of a commitment by the Saudi Government and Ministry of Hajj to improve accommodation for pilgrims in the Mina Valley, a four year air conditioner replacement plan was started in 2015. 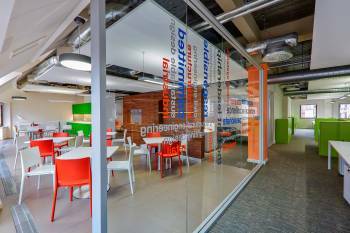 Seeley International fast-tracked production and installation so the project is now well ahead of schedule and expected to be completed during 2018. Mr Delaigue continued: “Seeley International’s ever growing export market, involving more than 100 countries, has been bolstered by this extraordinary export project. Our thanks go to Alsaeed HVAC – our distributor for the kingdom of Saudi Arabia – and particularly Salman Alsaeed, chief executive of Alsaeed Trading Group, who provided a turnkey solution on time and within required specifications. Mr Alsaeed said: “We have enjoyed a long and highly successful partnership between our two companies, and the success of this project is because of the excellence of Seeley International in delivering the most reliable coolers on the market with the highest levels of energy efficiency. Breezair air conditioners feature unique Mini-cell Chillcel pad technology recently developed by Seeley International, the only manufacturer to offer evaporative cooling pads that are fully manufactured in Australia and specifically designed to maximise cooling in harsh climates. The new enhanced small cell design of the revolutionary Mini-cell structure is the culmination of years of development and rigorous testing, and achieves up to 25 percent more surface area, dramatically improving cooling efficiency. The Mini-cell Chillcel, together with the patented high efficiency motors, provides exceptionally cool, quiet and energy efficient evaporative air conditioning.